Glass bottles can be a big improvement over plastic options as well as a trendy new way to stay hydrated. If you’re thinking about switching to glass, then you may be feeling overwhelmed by all the different options available. 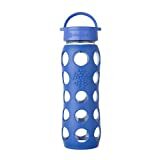 The list below includes what can be considered 10 of the best glass water bottles available on the internet. Hopefully by reading it you can get a better idea of what may be the best option for you. Why Choose a Glass Water Bottle? At first glance, it may not be obvious why anyone would choose a glass water bottle over a plastic one. After all, glass is usually more fragile and the risk of breaking it can be a serious concern, but it turns out that glass can actually have a lot of surprising advantages over plastic. For these reasons, many people are switching to glass water bottles as a better way to stay hydrated on the go. 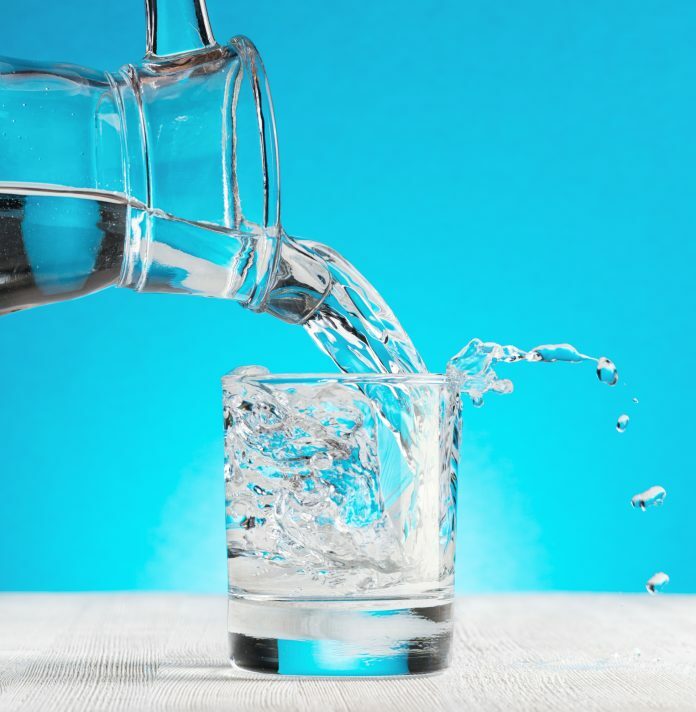 One of the main reasons that people prefer glass water bottles to plastic ones is the fact that glass is almost always safer to drink from than plastic. When it comes to harmful chemicals, plastic bottles can be a real hazard as they may leach contaminants into your water. Glass bottles shouldn’t do this and most of them are entirely free of any concerning elements. Plastic can also be a lot less environmentally friendly than glass, and glass is usually easier to wash and keep clean for longer, making it a win-win choice that can work well for almost anybody. When shopping for a new product it is helpful to know what you’re looking for so you can make a more informed decision on what to buy. 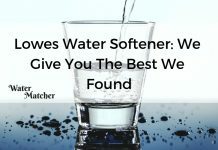 While water bottles can be pretty straightforward items, there are still a few things you should keep in mind to help you make the best choice possible. 1. How much liquid does the bottle hold? There can be advantages and disadvantages to different sizes of water bottles. 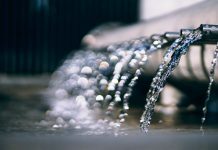 While smaller options may be easier to transport, larger options can hold much more water to last you throughout the day. In order to choose a good size for you, you should think about what you’re going to use the bottle for and whether mobility or capacity is more of a priority for you. 2. How wide is the mouth of the bottle? 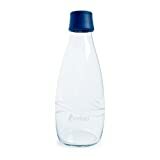 Generally, water bottles with smaller mouths are easier to drink from and less likely to spill as much. On the other hand, bottles with wide mouths allow you to add ice, fruit, or teabags and may be easier to clean. 3. What kind of lid does the bottle have? Water bottle lids come in a wide variety of shapes and sizes. The best design can mostly be a matter of personal preference, although if you are an active individual you may want to consider choosing a flip-top design over a screw-on lid because it should allow for easier access to the water while you’re moving around. 4. Does the bottle come with a sleeve? 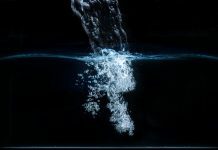 One of the biggest downsides to glass water bottles can be the tendency of glass to get very slippery when wet. Dropping a glass water bottle can be a big problem that you don’t want to have to deal with. Luckily, many manufacturers have found a way to overcome this by adding a sleeve made of silicon or a similar material to the outside of the bottle. The sleeves add enough traction so slipperiness shouldn’t be so much of a problem, and if the bottle does get dropped, they can add an extra layer of protection that will hopefully protect against shattering. The options on this list were chosen with everyday use in mind. All of them should be completely affordable, though some may be somewhat more expensive than others. Most of them fall in the range of around $20 per bottle. 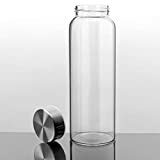 While this may seem to be a bit on the expensive side compared to some plastic water bottle options, you should find that you get much more use out of a glass bottle and that it looks newer for longer. Some of the choices have the option to buy a sleeve separately, which may cost extra money, but others come with a sleeve already on them and even allow you to choose what color it is when ordering. In order to give you an unbiased list of options, the compilation of bottles on this list were chosen based on several sources including customer reviews. All of them should be available for convenient purchase from Amazon or other online sources. Hopefully, you will find something on this list to suit your specific needs, whatever they may be. The options on this list are all great choices. While they are numbered from one to 10, the order that they’re ranked can be much less important than the features each individual option has to offer and how those features may meet your specific preferences. 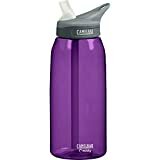 This spill-proof option by CamelBak is a great option for athletes. The flip-top lid makes taking a refreshing swig easy and drip-free. A cool-looking silicon sleeve that’s marbled with one of several different color combinations can finish up the sleek design of this bottle. The lid has a handle on it that can be used to hang it from a carabiner or just to carry it around. A uniquely designed bottle, this option by Retap has a lot of cool hidden perks. The teardrop-shaped design allows it to hold a lot of water and there are no hard edges. The lack of edges and divots means that the bottle is a breeze to clean and won’t allow for the growth of mold or bacteria. It is sturdy and shouldn’t break easily while still being lightweight. One problem with it can be the lack of grip that may cause it to be easily dropped, but this can be remedied by purchasing a sleeve that is sold separately to go with the bottle. If you want a water bottle that can keep up with an active lifestyle, then this could be one of the best choices out there. With an easy-to-use flip-top lid, you should be able to sip water even when you only have one hand available. This can make it a great option for jogging or sports. If you’re looking for something that won’t break easily, don’t overlook the extra-thick sleeve on this bottle that should save it if it should happen to fall. 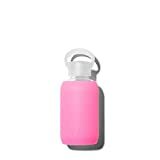 A good price for a water bottle that can be just as good as the more expensive options, the Ello Syndicate glass water bottle should be free of any contaminants you may be concerned about. Like many similar options, it comes with a sleeve made of non-slip material. The bottle has a flip-top lid, which makes it easy to use with one hand. A convenient handle further increases the ease with which you can use it and carry it around wherever you go. A very stylish as well as effective option, the Takeya Glass water bottle may have everything you want from a glass bottle including a cool-looking sleeve that has a cut out to show how much water you’ve consumed. 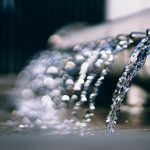 While it is a fairly basic option, its straightforwardness can be an advantage to anyone who just wants a good water bottle to get the job done. With all the basic features you want from a glass bottle including a protective silicone wrap, this option is stylish and can give you all the benefits of glass with less risk of breaking. You won’t get any plastic or metallic flavors from this bottle. The lid screws off and on for a secure fit that shouldn’t leak but may be easy to spill while open. There are a ton of color options for the sleeve that can make it a fun and personalized option. One of the most earth-friendly options on this list, the Reeho Borosilicate Glass Bottle features a bamboo lid. 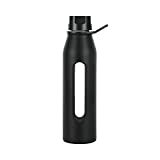 The bottle is safe to use with warm beverages, so you can enjoy coffee or tea on the go. It has a wide mouth with a screw-on lid and comes with a neoprene sleeve. The sleeve has a built-in loop that allows you to hang the water bottle in various places for use during workouts. If you’re looking for cost efficiency, look no further than this option from Practico Kitchen. 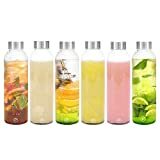 For a similar price to any one of the most popular glass water bottles available, you can get six of these basic but functional bottles. While you may be concerned about the quality that is sacrificed for the quantity of this option, the reviews on Amazon are mostly positive with only a few people having issues with breakage. In many cases, Practico Kitchen should be willing to replace broken items. SAFE: Won't leach chemicals like plastic, harbor bacteria in its scratches or rust like metal. 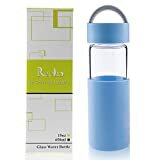 Although it can be on the more expensive side of the spectrum for its size, this glass water bottle from BKR makes up for its price with its attractive, high-quality design. A smaller sized bottle, it is easy to take with you wherever you may go. The small mouth can be convenient for drinking from but may cause a problem if you want to add normal-sized ice cubes. The screw-on cap should keep the bottle from leaking as long as it is properly in place. The bottle is dishwasher-safe and is made of mostly recyclable materials. The Kablo glass water bottle pulls off minimalism with style. Made entirely from borosilicate glass, it is free of harmful chemicals and contaminants. The wide mouth is big enough for you to add ice or teabags and should make it easy to clean. An airtight lid that fits securely on the bottle means that it should never leak or drip. 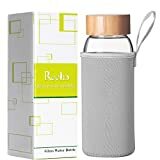 One of the best parts about buying this bottle may be Kablo’s guarantee that if it breaks, they will send you a replacement free of charge, even going as far as to cover shipping costs. 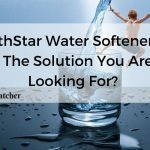 Hopefully, after reading this article you feel a bit more confident about which water bottle you want to try. You should find that most of them have similar features and all can be good options. Switching over to glass can be a great choice that comes with many benefits for your health as well as being a way to reduce your impact on the environment. You may discover that after you’ve used a glass water bottle for a while that you like it much better than any plastic options out there.